Lookingglass Theatre Company, now in its 18th year of offering premier summer camps, continues registration for all 2016 camp programs. Lookingglass Education and Community Programs offer summer camps that feature a broad variety and depth of programming designed to offer a unique theatrical experience for all. Lookingglass summer camps instruct students through ensemble-based techniques of transformation, adaptation and invention, instilling self-esteem and confidence in every student. Students develop strong theatrical skills by working with stories from a variety of genres, as well as create new work. Registration is now open, 773-477-9257 x193 or lookingglasstheatre.org/education. Lookingglass is dedicated to providing affordable access to all programs; flexible payment plans are available, as well as scholarship and financial aid. Financial aid applications are due March 14th and are available here. Discounts are available for multiple registrations (i.e. families signing up multiple students, or for multiple sessions), as well as for Lookingglass subscribers. Lookingglass brings the fun of Summergglass Camp to a week-long Spring Break Camp! During the week of CPS spring break, students in grades K-5 spend their mornings learning physical theatre skills, which may include juggling, stilt walking, and stage combat. During afternoon drama classes, campers adapt their own versions of stories from Peter Pan, discovering Neverland, Tinkerbell, the Lost Boys, mermaids, pirates, and more! Lookingglass’ longest-running summer camp, for students entering K-3rd grade in fall 2016, is now offered downtown, at Lookingglass’ theatre and rehearsal room spaces. 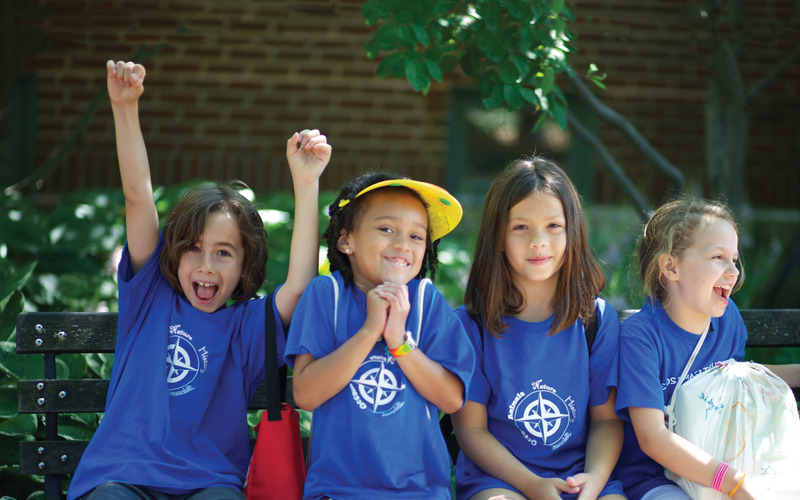 Campers delve into the theatre arts through daily classes in storytelling, music, and art. Weekly field trips and guest artist visits offer students the opportunity to explore each session’s theme more deeply. At the end of each two-week session, students perform an original piece of theatre on stage at Lookingglass. 9 a.m.-2:45 p.m. daily; no camp July 5th. Field Trips include: Adler Planetarium, Museum of Science and Industry. Field Trips include: Wild West Town and a visit from an Old Town School of Folk Music Musician. Field Trips include: Chicago Trolley Tours and the Field Museum. Field Trips include: Chicago Botanic Garden, the Brookfield Zoo, and an exciting hands-on workshop with The Frog Lady. Field Trips for Ocean include: Shedd Aquarium and a pirate boat tour with the Tall Ship Windy. Lookingglass’ signature physical theatre camp, for students entering 4th-8th grade in fall 2016, is offered downtown, at Fourth Presbyterian Church’s Gratz Center. Mornings are spent learning how to use skills of physical theatre to tell stories – skills vary by session but may include tumbling, juggling, shadow puppetry, clowning, and more! Afternoons are spent in drama class, where students work as an ensemble to create an original adaptation of a Lookingglass play. Each session culminates with an original performance on stage at Lookingglass. 9 a.m.-3 p.m. daily; no camp July 5th. Tumble down the rabbit hole and create a world beyond imagination with Summergglass Session I as we unearth the magic from Lewis Carroll’s acclaimed novel Alice In Wonderland. Outsmart the Cyclops and voyage on the high seas with Summergglass Session III as we make history with Homer’s celebrated poem The Odyssey. Soar to new heights with our interpretation of the beloved French novella The Little Prince by Antoine de Saint-Exupéry with Summergglass Session IV! Set sail with Jim Hawkins, Long John Silver and a crew of swashbuckling scalawags as Summergglass Session V explores Robert Louis Stevenson’s thrilling tale Treasure Island! Lookingglass’ classic four-week summer arts camp program, Summer Camp on the Lake, is now offered in partnership with the University of Chicago’s Logan Center for the Arts and Department of Theatre and Performance Studies. This program offers campers (entering 3rd-9th grade) a traditional camp experience, in which they study acting, dance, music, and art. Throughout the program, campers write, rehearse, and perform an original show on the Lookingglass stage. Camp also features weekly barbeques, field trips to the beach, and our annual camp talent show. Lookingglass’ audition-based intensive is open to all high school students (entering 9th through seniors graduating spring 2016). Lookingglass Lab focuses on creating an original issue-based play. Using a specific theme as inspiration, students will combine research, interviews, and create writing to create an original play. Past themes have included race, immigration, religion, and education. At the conclusion of the two-week program, students will perform their original piece on stage at Lookingglass. Auditions for Lookingglass Lab will take place on Tuesday April 5th, 5-8pm. Interested students should contact Lookingglass at 773-477-9257 x193 for audition requirements and additional information. Inventive. Collaborative. Transformative. Lookingglass Theatre Company, recipient of the 2011 Regional Theatre Tony Award, was founded in 1988 by eight Northwestern University students. Now in its 28th season, Lookingglass is home to a multi-disciplined ensemble of artists who create story-centered theatrical work that is physical, aurally rich and visually metaphoric. The Company has staged 64 world premieres and received 112 Joseph Jefferson awards and nominations. Work premiered at Lookingglass has been produced in New York City, Los Angeles, Seattle, Berkeley, Philadelphia, Princeton, Hartford, Kansas City, Washington D.C., and St. Louis. Lookingglass original scripts have been produced across the United States. Lookingglass Theatre Company continues to expand its artistic, financial and institutional boundaries under the guidance of Artistic Director Heidi Stillman and Executive Director Rachel Kraft, a 24-member artistic ensemble, 15 artistic associates, 11 production affiliates, an administrative staff and a dedicated board of directors led by Chairman John McGowan of CTC| myCFO (a part of BMO Financial Group) and President Nancy Timmers, civic leader and philanthropist. For more information, visit www.lookingglasstheatre.org.